Photos below are property of DjavuPurrs. Do not copy/borrow without written permission. 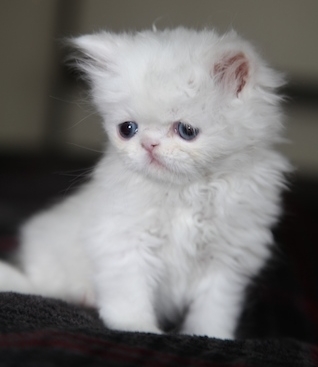 Here are at DjaVuPurrs, after much thinking and thinking and thinking (LOL), I have decided to go in another direction with a dream I have had ever since I first set my eyes on a Blue-Eyed Bi-color Persian. 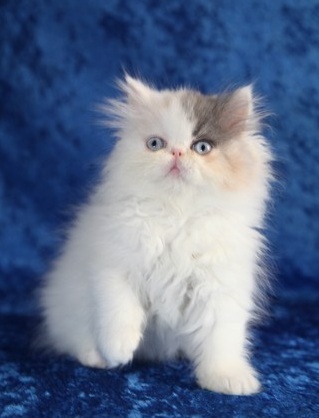 I have always loved the Color-Points (other word Himalayan), not only because of their points but also because of their beautiful blue eyes and I have always loved the Bi-colors and how different each kitten is with their unique markings and beautiful dark orange copper eyes. 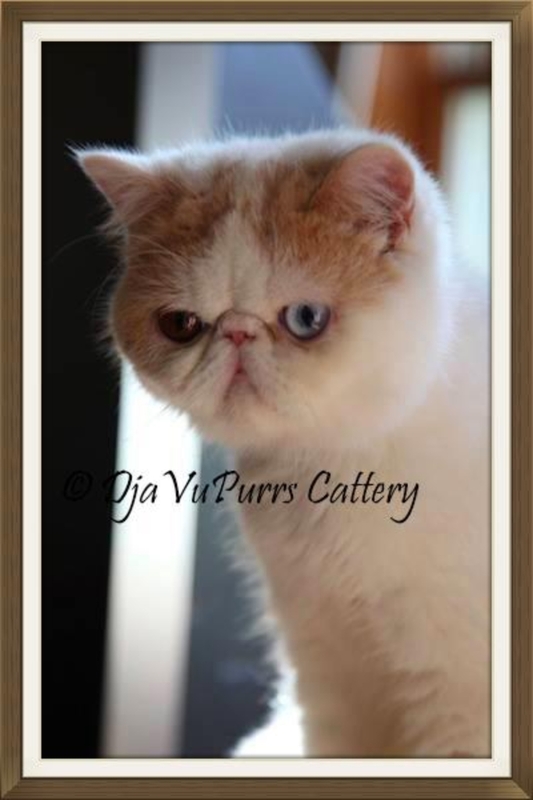 I never thought it would be possible to have a Bi-color with different eye colors, until I set my eyes on a beautiful Brown Tabby Bi-color Persian with Blue Eyes, at a Cat Show. 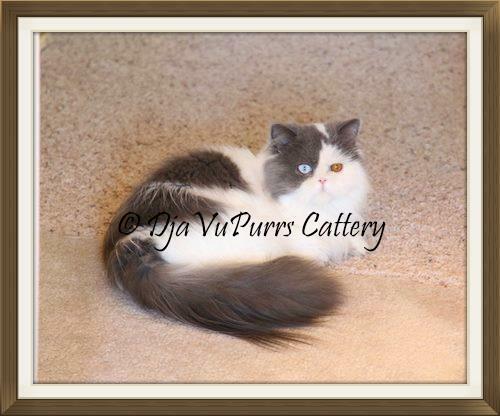 That day, I fell in love and knew in my heart I will have a Blue-Eyed Bi-color and knew I wanted to help improve this wonderful new journey that very few serious breeders have carefully and spent a lot of hard work in to get. Now my dream is coming true and I am very excited to begin it even though it will take me a while to get where I am heading and get the quality/colors I want to work with! Since my love began with Silver and Golden, I have no plans of not improving and continued my program in the Silver and Golden Division. 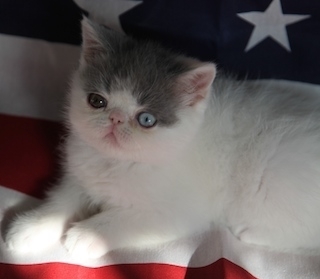 but since I have a small breeding program with limited number of cats; I will only be having limited litters in this division as well as in the bi-color division. So I can continue to let our adult's and kitten's live freely as family members with the run throughout our home and raise the kitties cageless with the love and attention they deserve and need to live a long and healthy life. We are excited to continued to work and improve our Silver/Golden with the lines I have always admired, and we're SOOO excited to begin this journey of improving and starting our own line with the BE/OE Bi-color and eventually in chocolate and lilacs. So please check back later in the year and see the exciting new babies from our future momma's and papa's! Thank you for your interests in our fur-babies.